This week’s show came complete with a guest mix from Bedmo Disco, Bristol’s longest-running disco/boogie label and one of the finest purveyors of dance music either side of the Avon. The DJ and production trio consist of Awon, Sell By Dave and Five-Stylez, and they know a thing or two about livening things up – they’ve been promoting parties in the city since the early 2000s. This mix came courtesy of Awon, the mix completed in one take and focusing on classic boogie, electrofunk, P-funk and synth jams. 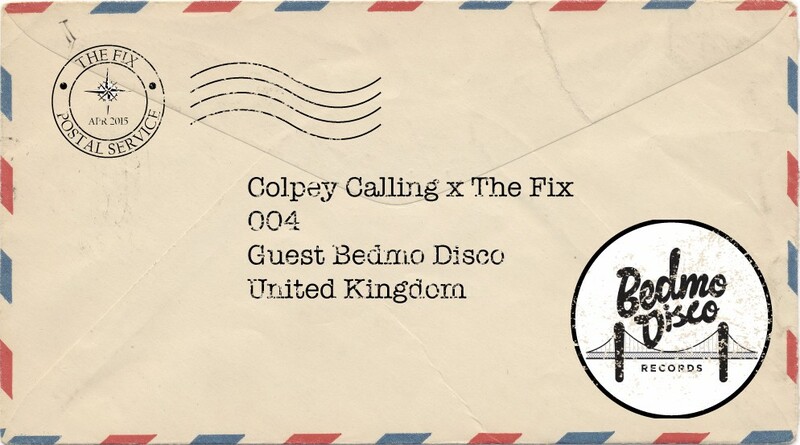 The mix comes ahead of the first birthday of ‘Bedmo Disco Presents‘, the monthly nights which sees them bring top DJ talent from around the UK, Europe and beyond. Previous guests have included Marcel Vogel, Daniel Wang, Justin Van Der Volgen, Alexander Nut, Inkswel and Auntie Flo, and on Easter Sunday they welcome to Big Chill the legend that is Winston Hazel. Tagged awon, bedmo disco, big chill, colpey calling, five-stylez, future music, omari, sell by dave, warp 9, winston hazel. Bookmark the permalink.